Killzone: Mercenary has been making the rounds on the gaming wires as a must-have title for the PlayStation Vita, bringing all the iconic visuals and moments from a console-sized experience and shrinking them down to a portable sized adventure. One of the design elements that really helped capture the mood and tone of the game was Walter Mair's soundtrack. Mair (pictured below), is an accomplished composer who has worked on movies, television and games alike, and picked up numerous awards along the way, including a Novello Award nomination for best original soundtrack in 2010. Well, we had a chance to ask Mair a few questions about working on the score for Killzone: Mercenary and what the experience was like taking on one of the grittiest franchises on the market. Check it out below. Gaming Blend: So what type of preparation did you do before diving into scoring a game like Killzone. In other words, how did you get yourself into the mindset to write for a game like this? Walter Mair: It is an amazing opportunity to be involved in a game of this caliber. Preparation started as early as weeks before I actually got to meet the producers and audio director. The main motivation for people in this industry is to deliver great work. So I listened to some great soundtracks as well as classical music and electronic tracks, nothing too unusual to what I would normally do but always thinking and asking myself if this particular track could work within the context of Killzone: Mercenary and why it might not work. As soon as I received the early sketches and artwork for the game I spent a significant time in my studio thinking about the right concept, what instruments I wanted to use, how to create interesting soundscapes, what techniques I could use to produce these sounds etc. I knew I wanted to use unique sounds paired with more classical sounds and in order to do so I would even custom-build instruments. A game of this magnitude deserves its very own sound. Gaming Blend: Are there any special considerations to take into account when writing for a portable device as opposed to a home console game, or is the technology good enough these days that you can basically run wild? 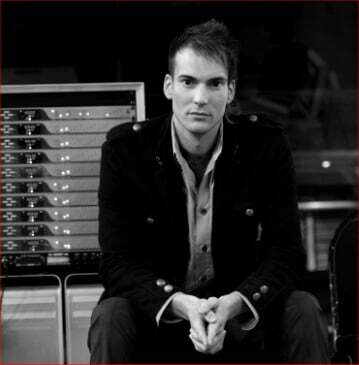 Walter Mair: I was very lucky with Sony being such great developers, not only knowing their very own technology inside-out but also on the creative side where the audio director would give me a lot of freedom to come up with the soundtrack I thought worked best for the game. The technical requirements are similar, if not the same, to those of home consoles. I delivered stems which were implemented into the game engine. All music was delivered in 24bit and 48kHz to allow the audio team further tweaks without losing quality. Gaming Blend: Following up on that last question, do the various budgets for each game also dictate what sort of musical instruments and tools you have access to or does that matter at all? Walter Mair: Budgets do matter and affect the instrumentation of the soundtrack to a certain degree. When working on SEGA’s Empire:Total War I knew we would record an 80-piece orchestra and a full choir which impacts on the style of writing. With Killzone I had freedom of choice on how to produce the score and a hybrid of orchestral and electronic instruments seemed to work best for the franchise. With that in mind I started creating and sculpturing sounds and built custom instruments that would be able to span the entire sound-spectrum from ISA to Helghast. The final soundtrack is based on quite a lot of live recordings e.g. recordings of strings, percussion, brass and many single instrument recordings that feature unique playing techniques. Gaming Blend: Were there any unique touches, less common instruments, etc. that were plugged in to give the game a unique "Killzone" vibe? Walter: A lot of experimentation went into the initial stages of development where it was all about creating a unique sound for Killzone: Mercenary. The key element was to find a successful combination of the main theme as well as defining a very distinct overall sound for the music. Lots of experiments happened in this stage. Live recordings were held on a daily basis with instruments spanning from a more classical orchestral setup to custom-built instruments. Classical instruments such as violin and cello were played with the wooden side of the bow (instead of the horse hair) or by using different metal-bows to produce extraordinary sounds. We also hammered the cello with metal objects to produce percussion–like sounds and soundscapes. All these many samples were mapped in Kontakt (Native Instruments) to make them available and playable like a real instrument. Walter: I even had an instrument built from scratch that was a mixture of cello and double bass. We screwed metal objects onto the corpus which created all sorts of interesting resonances when played with a bow. 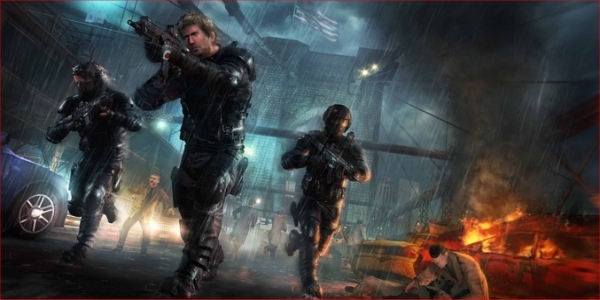 These sound creations became the base for many of the more stealthy tension tracks in the game. 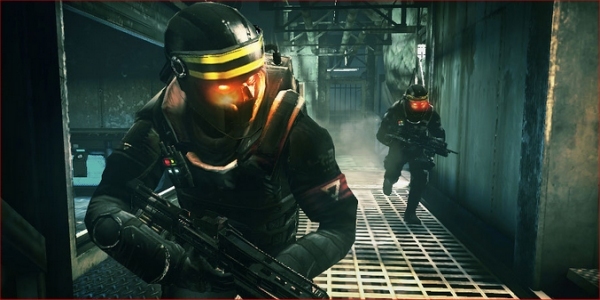 Fighting for both sides, the ISA and later on the Helghast, brought another level of detail to the soundtrack as it requires the music to create a distinct sound for each campaign. It was necessary to choose specific sounds and instruments that represent the core mood and temper of the ISA and the Helghast. The music for the ISA features a palette of analog and digital synths (Moog, Access Virus, etc. ), electronic drums accompanied by an orchestra. The music for the Helghast campaign had to have a sonic twist and reflect their more ominous and darker mood. This is where I used many of the bespoke sound creations like extended playing techniques. These included: playing with bows/metal/rubber/wood and are not limited to string instruments only but also a wide selection of percussive instruments e.g. cymbals, glockenspiel, etc. We also recorded a vast selection of man-sized percussion instruments including modified bass drums, snare drums that were filled with shrapnel and other metal pieces - adding distortion etc. Once recorded, many of these sounds were heavily processed with a range of analog and digital outboard equipment. Gaming Blend: How does scoring for an FPS differ from other genres? Or, compared to movies/television, how does the process differ between video games and those other media? Walter: Film and TV are linear media so you know exactly how long the action cue will be played before it ramps up to a crescendo that ultimately peaks on an explosion of the spaceship. With a video game it is the player who determines the length of each section with his actions. Some in-game music is triggered by certain events which makes it easier for us composers to decide how to start a cue. But most of the time the player is listening to a background track which has to sound as varied as possible to not give the impression of the player listening to a loop all over again. This is where the main difference lies between games and film/TV – to keep these tracks interesting and allow the player to stay in a particular scene for as long or short as he/she wants to. Then there are the cut-scenes which work exactly like film/TV. The composer is being given an exact timing of the entire sequence so I can write the music in the very same way I would do for a movie. Another of the main differences between film and games are the development and delivery schedules. The timings for movies are extremely tight ranging from a few weeks to several months to write, produce and record an entire film score. Games are being developed over a much longer time period. On my game projects I’ve been lucky to be involved from an early stage. This means you can be working on a big title like Killzone for more than a year. The delivery dates for missions or campaigns are sometimes months or half a year apart which leaves enough time to work on multiple projects within the same year. Walter: In 2013 I wrote the music for Killzone: Mercenary, as well as the movie ‘The List’ (starring Sienna Guillory who plays Jill Valentine in the Resident Evil movies) which will see its world premiere later in 2013. With Killzone being a spectacular sci-fi/action game and ‘The List’ being a thriller, the musical requirements were quite different. For me it is the diversity of working on different types of projects that makes working in both worlds - films & games - so rewarding. Gaming Blend: Did you have any particular moments of the game that you really enjoyed and subsequently, enjoyed scoring? Walter: There were many moments that were extremely satisfying from a composer’s point of view. One of these moments was the shift from ISA to Helghast with the music being required to change in mood/sound/instrumentation but still keep consistent with the overall vibe for Killzone. Another example would be the many cut-scenes which were directed so well - watching them makes you feel as if you are watching an epic movie. Gaming Blend: The game's soundtrack recently released on the PlayStation Network. That sort of easy access to game soundtracks is only just becoming more commonplace. How's it feel knowing that people who enjoy his work in the game can now easily access the music and add it to their collection? Walter: This is a great development and I welcome the opportunity for fans of soundtracks, be it games, film or TV, to have easy access to their favorite music. With tools like iTunes, iPhones it is easier than ever to access music wherever you are, on the move, in the gym etc. This enhances access and portability of everyone’s personal music library. Gaming Blend: Following up on the last question, how do you feel about digital music sharing? Seeing soundtracks on alternative music communities like Band Camp and YouTube where the soundtrack is up and available for public consumption? Do you feel it broadens the exposure for a game or cuts the artist out of potential buys? Walter: In general I think these are great tools for creating communities, spreading the word and ultimately supporting the awareness for a movie or video game. With some of these sites there is still an ongoing dispute with royalty collection societies about the royalty scheme. I, for one, believe that there are a lot of channels out there that are great opportunities to help build and support a fan base. Gaming Blend: There are a lot of favorable reviews for Killzone: Mercenary so far, including our own review of the game. If offered the opportunity, would you consider returning to score another Killzone game? Walter: Yes, absolutely. This is such an amazing franchise with great potential and creative space, allowing the composer to expand his own palette of sounds and style of writing. Our thanks to Walter Wair for taking time to answer our questions and to Top Dollar for setting up the interview. You can learn more about Walter's work by visiting his official website or scope out our review of Killzone: Mercenary to learn more about the game.